Sky Digital: Ny frekvens for National Geographic UK: 11836.00MHz, pol.H (DVB-S SR:27500 FEC:5/6 SID:5552 PID:516/645 nar,644 England- VideoGuard). Sky Digital: Ny FEC for National Geographic UK on 12188.00MHz, pol.H: FEC:5/6 ( SR:27500 SID:4805 PID:520/668 nar,648 England - VideoGuard). ADD: National Geographic UK (England) er nå overført til fri luft (12303.00MHz, pol.H SR:27500 FEC:5/6 SID:2340 PID:525/5644 Arabic). Sky Digital: Ny frekvens for National Geographic UK: 12188.00MHz, pol.H (DVB-S SR:27500 FEC:2/3 SID:4805 PID:520/668 nar,648 England- VideoGuard). ADD: Ny FEC for National Geographic UK on 12303.00MHz, pol.H: FEC:5/6 ( SR:27500 SID:2340 PID:525/5644 Arabic - Irdeto 2 & Viaccess 4.0). Sky Digital: Ny frekvens for National Geographic UK: 11603.85MHz, pol.V (DVB-S SR:27500 FEC:2/3 SID:4805 PID:520/668 England,648 England- VideoGuard). ADD: Ny frekvens for National Geographic UK: 12303.00MHz, pol.H (DVB-S SR:27500 FEC:3/4 SID:2340 PID:525/5644 Arabic,5645 England- Irdeto 2 & Viaccess 4.0). National Geographic UK switched to DVB-S2 at 11881.00MHz, pol.H SR:27500 FEC:5/6 PID:2107[MPEG-4]/2207 England. Sky Digital: PID er blitt endret til National Geographic UK on 12304.00MHz, pol.H: PID:518/646 England SID:4640 ( SR:27500 FEC:2/3 - VideoGuard). Bulsatcom & Polaris Media: National Geographic UK (England) er nå overført til fri luft (12688.00MHz, pol.H SR:30000 FEC:7/8 SID:2 PID:80/81 Bulgarian,82 England). Sky Digital: Ny frekvens for National Geographic UK: 12304.00MHz, pol.H (DVB-S SR:27500 FEC:2/3 SID:4640 PID:517/645 England,665 England- VideoGuard). Multichoice Africa: Ny frekvens for National Geographic UK: 11843.00MHz, pol.V (DVB-S2 SR:27500 FEC:2/3 SID:7000 PID:849[MPEG-4]/850 England- FTA). Canal Digitaal & TV Vlaanderen: National Geographic UK er nå kryptert i Mediaguard 2 kode (11856.00MHz, pol.V SR:27500 FEC:5/6 SID:7015 PID:513[MPEG-4] /82 Dutch). Canal Digitaal & TV Vlaanderen: National Geographic UK (England) er nå overført til fri luft (11856.00MHz, pol.V SR:27500 FEC:5/6 SID:7015 PID:513[MPEG-4] /82 Dutch). Canal Digital Nordic: Ny frekvens for National Geographic UK: 10903.00MHz, pol.V (DVB-S2 SR:25000 FEC:3/4 SID:3806 PID:512[MPEG-4] /640 England- Conax). Hello HD: National Geographic UK er nå kryptert i Conax kode (12073.00MHz, pol.V SR:27500 FEC:3/4 SID:2 PID:288[MPEG-4] /289 England). Hello HD: National Geographic UK (England) er nå overført til fri luft (12073.00MHz, pol.V SR:27500 FEC:3/4 SID:2 PID:288[MPEG-4] /289 England). Sky Digital: Ny frekvens for National Geographic UK: 12344.00MHz, pol.H (DVB-S2 SR:29500 FEC:3/4 SID:3831 PID:513[MPEG-4] /641 England,661 England- VideoGuard). Hello HD: Ny FEC for National Geographic UK on 12073.00MHz, pol.V: FEC:3/4 ( SR:27500 SID:2 PID:288[MPEG-4] /289 England - Conax). Platforma HD: Ny frekvens for National Geographic UK: 12380.00MHz, pol.V (DVB-S2 SR:26400 FEC:2/3 SID:40 PID:1400[MPEG-4] /1410 England,1420 England- DRE-Crypt). National Geographic UK switched to Hot Bird 13E satellite at 11958.00MHz, pol.V (DVB-S2 , 11958.00MHz, pol.V SR:26400 FEC:2/3 PID:1400[MPEG-4] /1410 England,1420 England). National Geographic UK switched to Hot Bird 13E satellite at 12073.00MHz, pol.V (DVB-S2 , 12073.00MHz, pol.V SR:27500 FEC:2/3 PID:288[MPEG-4] /289 England). National Geographic UK switched to Astra 1G satellite at 11856.00MHz, pol.V (DVB-S2 , 11856.00MHz, pol.V SR:27500 FEC:5/6 PID:513[MPEG-4] /82 Dutch). ADD: En ny kanal har startet: National Geographic UK (England) i DVB-S on 12034.00MHz, pol.H SR:27500 FEC:3/4 SID:710 PID:519/720 England,721 England - Irdeto 2. Bulsatcom: Ny frekvens for National Geographic UK: 12688.00MHz, pol.H (DVB-S SR:30000 FEC:7/8 SID:2 PID:80/81 Bulgarian- BulCrypt & Griffin & Irdeto 2). Hello HD: National Geographic UK er nå kryptert i Conax kode (12073.00MHz, pol.V SR:27500 FEC:2/3 SID:2 PID:288[MPEG-4] /289 England). Hello HD: National Geographic UK (England) er nå overført til fri luft (12073.00MHz, pol.V SR:27500 FEC:2/3 SID:2 PID:288[MPEG-4] /289 England). National Geographic UK switched to DVB-S2 at 11731.00MHz, pol.V SR:29000 FEC:3/4 PID:6496[MPEG-4] /6497 Portuguese. T-Home: National Geographic UK er nå kryptert i Conax kode (10759.00MHz, pol.V SR:30000 FEC:2/3 SID:103 PID:38[MPEG-4] /36 England). T-Home: National Geographic UK (England) er nå overført til fri luft (10759.00MHz, pol.V SR:30000 FEC:2/3 SID:103 PID:38[MPEG-4] /36 England). Hello HD: National Geographic UK is back on 12073.00MHz, pol.V SR:27500 FEC:2/3 SID:3 after a break ( PID:304[MPEG-4] /306 England - Conax). Hello HD: National Geographic UK is back on 12073.00MHz, pol.V SR:27500 FEC:2/3 SID:2 after a break ( PID:288[MPEG-4] /289 England - Conax). Digit Alb: Ny SID for National Geographic UK on 10975.92MHz, pol.H: SID:2404 ( SR:22500 FEC:4/5 PID:1031[MPEG-4] /1032 Albanian,1033 original audio - Conax). 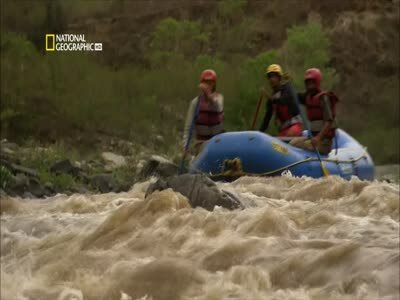 Ny SR for National Geographic UK on 11185.00MHz, pol.V: SR:22400 ( FEC:2/3 SID:701 PID:7011[MPEG-4] /7015 England,7016 Turkish - Viaccess 2.5). Total TV Bulgaria & Total TV: PID er blitt endret til National Geographic UK on 11012.00MHz, pol.V: PID:205/305 England,405 Bulgarian SID:10 ( SR:27500 FEC:3/4 - Cryptoworks & VideoGuard). Digit Alb: National Geographic UK er nå kryptert i Conax kode (10975.92MHz, pol.H SR:22500 FEC:4/5 SID:2402 PID:1011[MPEG-4] /1012 England,1013 original audio). Digit Alb: National Geographic UK (England) er nå overført til fri luft (10975.92MHz, pol.H SR:22500 FEC:4/5 SID:2402 PID:1011[MPEG-4] /1012 England,1013 original audio). Digit Alb: National Geographic UK i DVB-S2 på 10975.92MHz, pol.H SR:22500 FEC:4/5 SID:2402 PID:1011[MPEG-4] /1012 England,1013 original audio (Conax). Canal Digital Nordic: National Geographic UK is back on 11434.00MHz, pol.V SR:25000 FEC:3/4 SID:3806 after a break ( PID:512[MPEG-4] /640 England - Conax). Canal Digital Nordic: Ny frekvens for National Geographic UK: 12188.00MHz, pol.V (DVB-S2 SR:25000 FEC:3/4 SID:3806 PID:512[MPEG-4] /640 England- Conax). En ny kanal har startet: National Geographic UK (England) i DVB-S2 on 10759.00MHz, pol.V SR:30000 FEC:2/3 SID:103 PID:38[MPEG-4] /36 England - Conax. Canal Digitaal & TV Vlaanderen: Ny frekvens for National Geographic UK: 11856.00MHz, pol.V (DVB-S2 SR:27500 FEC:5/6 SID:7015 PID:513[MPEG-4] /82 Dutch,83 Dutch- Mediaguard 2). Ny SID for National Geographic UK on 11283.00MHz, pol.H: SID:23 ( SR:27500 FEC:5/6 PID:402/502 England - FTA). Hello HD: PID er blitt endret til National Geographic UK on 12073.00MHz, pol.V: PID:304[MPEG-4] /306 England SID:3 ( SR:27500 FEC:2/3 - Conax). National Geographic UK er nå kryptert i Viaccess 2.5 kode (11185.00MHz, pol.V SR:13657 FEC:2/3 SID:701 PID:7011[MPEG-4] /7015 England,7016 Turkish). National Geographic UK er nå kryptert i Neotion SHL kode (11958.00MHz, pol.V SR:26400 FEC:2/3 SID:40 PID:1400[MPEG-4] /1410 England,1420 England). Ny frekvens for National Geographic UK: 11958.00MHz, pol.V (DVB-S2 SR:26400 FEC:2/3 SID:40 PID:1400[MPEG-4] /1410 England,1420 England- FTA). Nos: National Geographic UK is back on 11731.00MHz, pol.V SR:27500 FEC:3/4 SID:943 after a break ( PID:6496[MPEG-4] /6497 Portuguese - Nagravision 3). Nos: En ny kanal har startet: National Geographic UK (England) i DVB-S2 on 11731.00MHz, pol.V SR:29000 FEC:3/4 SID:943 PID:6496[MPEG-4] /6497 Portuguese - Nagravision 3. En ny kanal har startet: National Geographic UK (England) i DVB-S2 on 11185.00MHz, pol.V SR:13657 FEC:2/3 SID:701 PID:7011[MPEG-4] /7015 England - FTA. Hello HD: National Geographic UK er nå kryptert i Conax kode (12073.00MHz, pol.V SR:27500 FEC:2/3 SID:3 PID:304[MPEG-4] /305 England). Hello HD: National Geographic UK is testing in DVB-S2 FTA on 12073.00MHz, pol.V SR:27500 FEC:2/3 SID:3 PID:304[MPEG-4] /305 England. National Geographic UK (England) er nå overført til fri luft (12073.00MHz, pol.V SR:27500 FEC:2/3 SID:2 PID:288[MPEG-4] /289 England). National Geographic UK er nå kryptert i Conax kode (12073.00MHz, pol.V SR:27500 FEC:2/3 SID:2 PID:288[MPEG-4] /289 England). National Geographic UK switched to Thor 5 satellite at 11309.00MHz, pol.V (DVB-S , 11309.00MHz, pol.V SR:24500 FEC:7/8 PID:400/401 Sweden,402 Danish). En ny kanal har startet: National Geographic UK (England) i DVB-S2 on 12073.00MHz, pol.V SR:27500 FEC:3/4 SID:2 PID:288[MPEG-4] /289 England - FTA. National Geographic UK switched to Thor 5 satellite at 11434.00MHz, pol.V (DVB-S2 , 11434.00MHz, pol.V SR:25000 FEC:2/3 PID:512[MPEG-4] /640 England). Canal Digitaal & TV Vlaanderen: National Geographic UK is testing in DVB-S2 Mediaguard 2 on 11778.00MHz, pol.V SR:27500 FEC:9/10 SID:7015 PID:513[MPEG-4] /82 Dutch. Canal Digitaal & TV Vlaanderen: National Geographic UK is testing in DVB-S2 Mediaguard 2 on 11778.00MHz, pol.V SR:27500 FEC:9/10 SID:7030 PID:516[MPEG-4] /88 Dutch. ADD: National Geographic UK er nå kryptert i Irdeto 2 kode (11881.00MHz, pol.H SR:27500 FEC:3/4 SID:1707 PID:518/710 England). ADD: National Geographic UK (England) er nå overført til fri luft (11881.00MHz, pol.H SR:27500 FEC:3/4 SID:1707 PID:518/710 England). Total TV Bulgaria & Total TV: Ny frekvens for National Geographic UK: 12689.00MHz, pol.V (DVB-S SR:27695 FEC:2/3 SID:10 PID:518/710 England,711 Bulgarian- Cryptoworks & VideoGuard). Sky Digital: Ny SR for National Geographic UK on 12363.00MHz, pol.V: SR:29500 ( FEC:3/4 SID:3831 PID:513 [MPEG-4]/641 England,661 England - VideoGuard). Canal Digital Nordic: National Geographic UK i DVB-S2 på 11434.00MHz, pol.V SR:25000 FEC:2/3 SID:3806 PID:512[MPEG-4] /640 England (Conax). Bulsatcom: Ny frekvens for National Geographic UK: 12524.00MHz, pol.H (DVB-S SR:30000 FEC:7/8 SID:1010 PID:784/785 England- Griffin & Irdeto 2). Digit Alb: National Geographic UK i DVB-S på 11092.00MHz, pol.V SR:32000 FEC:5/6 SID:2020 PID:2021/2022 England (Conax). Bulsatcom: Ny frekvens for National Geographic UK: 12647.00MHz, pol.H (DVB-S SR:30000 FEC:7/8 SID:13 PID:784/785 England- Griffin & Irdeto 2). Sky Digital: Ny frekvens for National Geographic UK: 12363.00MHz, pol.V (DVB-S2 SR:28250 FEC:3/4 SID:3831 PID:513/661 England,641 England- VideoGuard). Sky Digital: Ny SID for National Geographic UK on 11720.00MHz, pol.H: SID:3831 ( SR:28250 FEC:3/4 PID:513/661 England - VideoGuard). Total TV: Ny frekvens for National Geographic UK: 11428.00MHz, pol.V (DVB-S SR:26700 FEC:5/6 SID:1309 PID:309/433 England- VideoGuard). Total TV: Ny FEC for National Geographic UK on 10972.00MHz, pol.V: FEC:3/4 ( SR:27500 SID:1309 PID:309/433 England - VideoGuard). Total TV Bulgaria & Total TV: Ny frekvens for National Geographic UK: 11012.00MHz, pol.V (DVB-S SR:27500 FEC:3/4 SID:10 PID:518/710 England- Cryptoworks & VideoGuard). Total TV Bulgaria: Ny SR for National Geographic UK on 11595.00MHz, pol.V: SR:28800 ( FEC:7/8 SID:30 PID:521/740 Bulgarian - Cryptoworks). Kabel Deutschland: Ny FEC for National Geographic UK on 12605.00MHz, pol.V: FEC:9/10 ( SR:27500 SID:53208 PID:911/912 England - Nagravision 2). Total TV Bulgaria: Ny frekvens for National Geographic UK: 11012.00MHz, pol.V (DVB-S SR:27500 FEC:3/4 SID:30 PID:521/740 Bulgarian- Cryptoworks). Total TV Bulgaria: Ny frekvens for National Geographic UK: 11595.00MHz, pol.V (DVB-S SR:27500 FEC:3/4 SID:30 PID:521/740 Bulgarian- Cryptoworks). Sky Digital: Ny frekvens for National Geographic UK: 12285.00MHz, pol.V (DVB-S SR:27500 FEC:2/3 SID:4607 PID:517/645 England,665 nar- VideoGuard). Bulsatcom: Ny SR for National Geographic UK on 12688.00MHz, pol.H: SR:30000 ( FEC:7/8 SID:13 PID:784/785 England - Griffin & Irdeto 2). Total TV: National Geographic UK is encrypted again after being temporarily unencrypted on 10972.00MHz, pol.V SR:27500 FEC:2/3 SID:1309 PID:309/433 England (VideoGuard). Sky Digital: National Geographic UK is testing in DVB-S2 VideoGuard on 11720.00MHz, pol.H SR:28250 FEC:3/4 SID:3882 PID:513/661 England. Sky Digital: Ny frekvens for National Geographic UK: 11720.00MHz, pol.H (DVB-S2 SR:28250 FEC:3/4 SID:3881 PID:512/660 England- VideoGuard). Bulsatcom: National Geographic UK er nå kryptert i Griffin & Irdeto 2 kode (12688.00MHz, pol.H SR:28800 FEC:7/8 SID:13 PID:784/785 England). Bulsatcom: National Geographic UK (England) er nå overført til fri luft (12688.00MHz, pol.H SR:28800 FEC:7/8 SID:13 PID:784/785 England). Total TV Bulgaria: National Geographic UK i DVB-S på 11012.00MHz, pol.V SR:27500 FEC:3/4 SID:10 PID:518/710 England (Cryptoworks). Total TV: National Geographic UK er nå kryptert i VideoGuard kode (10972.00MHz, pol.V SR:27500 FEC:2/3 SID:1309 PID:309/433 England). Total TV: National Geographic UK (England) er nå overført til fri luft (10972.00MHz, pol.V SR:27500 FEC:2/3 SID:1309 PID:309/433 England). Total TV: Ny frekvens for National Geographic UK: 10972.00MHz, pol.V (DVB-S SR:27500 FEC:2/3 SID:1309 PID:309/433 England- FTA). Total TV: National Geographic UK is back on 11554.00MHz, pol.V SR:30000 FEC:7/8 SID:1110 after a break ( PID:521/676 England - FTA). Sky Digital: Ny SR for National Geographic UK on 11798.00MHz, pol.H: SR:28250 ( FEC:3/4 SID:3831 PID:0/ England - VideoGuard). Total TV: En ny kanal har startet: National Geographic UK (England) i DVB-S on 11554.00MHz, pol.V SR:30000 FEC:7/8 SID:1510 PID:521/676 England - FTA. Kabel Deutschland: National Geographic UK i DVB-S på 12605.00MHz, pol.V SR:27500 FEC:3/4 SID:53208 PID:911/912 England (Nagravision 2). ADD: PID er blitt endret til National Geographic UK on 11881.00MHz, pol.H: PID:518/710 England SID:1707 ( SR:27500 FEC:3/4 - Irdeto 2). Bulsatcom: En ny kanal har startet: National Geographic UK (England) i DVB-S on 12688.00MHz, pol.H SR:28800 FEC:7/8 SID:13 PID:784/785 England - Griffin & Irdeto 2. Bulsatcom: A testcard identified National Geographic UK has started in Irdeto 2 on 12688.00MHz, pol.H SR:28800 FEC:7/8 SID:13 PID:784/. Sky Digital: PID er blitt endret til National Geographic UK on 11836.00MHz, pol.H: PID:512/640 England SID:4405 ( SR:27500 FEC:2/3 - VideoGuard). Sky Digital: Ny frekvens for National Geographic UK: 11836.00MHz, pol.H (DVB-S SR:27500 FEC:2/3 SID:4405 PID:2327/2328 England- VideoGuard). Digitürk: National Geographic UK er nå kryptert i Cryptoworks kode (11658.00MHz, pol.V SR:30000 FEC:3/4 SID:7307 PID:2106/2207 England,2208 Turkish). Digitürk: National Geographic UK (England) er nå overført til fri luft (11658.00MHz, pol.V SR:30000 FEC:3/4 SID:7307 PID:2106/2207 England,2208 Turkish). Digitürk: Ny frekvens for National Geographic UK: 11617.00MHz, pol.V (DVB-S SR:30000 FEC:3/4 SID:7307 PID:2106/2207 England,2208 Turkish- Cryptoworks). National Geographic UK er nå kryptert i Cryptoworks kode (11513.00MHz, pol.V SR:28800 FEC:7/8 SID:10 PID:518/710 England). National Geographic UK (England) er nå overført til fri luft (11513.00MHz, pol.V SR:28800 FEC:7/8 SID:10 PID:519/720 England). En ny kanal har startet: National Geographic UK (England) i DVB-S on 11513.00MHz, pol.V SR:28800 FEC:7/8 SID:5 PID:516/690 England - Cryptoworks. ADD: Ny SID for National Geographic UK on 11881.00MHz, pol.H: SID:1707 ( SR:27500 FEC:3/4 PID:3063/3064 England - Irdeto 2). UPC Direct: Ny SID for National Geographic UK on 12382.00MHz, pol.H: SID:20317 ( SR:27500 FEC:3/4 PID:401/410,411,412 England - Cryptoworks). Canal: National Geographic UK er nå kryptert i Mediaguard 2 & TPScrypt kode (11739.00MHz, pol.V SR:27500 FEC:3/4 SID:8310 PID:169/116 Frankrike,117 original audio). Canal: National Geographic UK er nå kryptert i Mediaguard 2 & TPScrypt kode (11895.00MHz, pol.V SR:27500 FEC:3/4 SID:8358 PID:169/116 Frankrike). Canal: PID er blitt endret til National Geographic UK on 11895.00MHz, pol.V: PID:169/116 Frankrike SID:8358 ( SR:27500 FEC:3/4 - Mediaguard 2 & TPScrypt & Mediaguard). Canal: PID er blitt endret til National Geographic UK on 11895.00MHz, pol.V: PID:180/116 Frankrike SID:8358 ( SR:27500 FEC:3/4 - Mediaguard 2 & TPScrypt & Mediaguard). Canal: PID er blitt endret til National Geographic UK on 11895.00MHz, pol.V: PID:177/116 Frankrike SID:8358 ( SR:27500 FEC:3/4 - Mediaguard 2 & TPScrypt & Mediaguard). Canal: PID er blitt endret til National Geographic UK on 11895.00MHz, pol.V: PID:169/121 SID:8358 ( SR:27500 FEC:3/4 - Mediaguard & TPScrypt). Canal: Ny frekvens for National Geographic UK: 11895.00MHz, pol.V (DVB-S SR:27500 FEC:3/4 SID:8358 PID:180/116- Mediaguard & TPScrypt). Movistar+: Ny frekvens for National Geographic UK: 10876.00MHz, pol.V (DVB-S SR:22000 FEC:5/6 SID:30605 PID:170/120- Mediaguard 2). Cyfra +: National Geographic UK er nå kryptert i Mediaguard 2 & Cryptoworks kode (11283.00MHz, pol.V SR:27500 FEC:3/4 SID:13007 PID:166/104). Sky Digital: PID er blitt endret til National Geographic UK on 11856.00MHz, pol.V: PID:2308/2309 SID:4405 ( SR:27500 FEC:2/3 - VideoGuard). Sky Digital: PID er blitt endret til National Geographic UK on 11856.00MHz, pol.V: PID:2311/2312 SID:4405 ( SR:27500 FEC:2/3 - VideoGuard). Canal: National Geographic UK er nå kryptert i Mediaguard & Viaccess 2.3 kode (11739.00MHz, pol.V SR:27500 FEC:3/4 SID:0 PID:169/116). Sky Digital: PID er blitt endret til National Geographic UK on 11856.00MHz, pol.V: PID:2308/2309 SID:0 ( SR:27500 FEC:2/3 - VideoGuard).